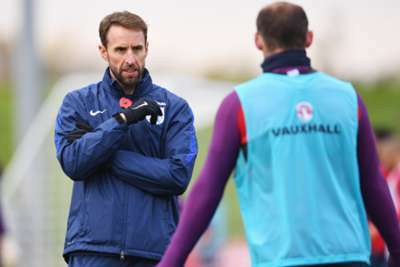 England manager Gareth Southgate admitted he was yet to speak to Wayne Rooney about his farewell game, but is glad the forward is getting a tribute. Rooney, 33, will make his 120th and final international appearance in England's friendly against the United States at Wembley on Thursday. Southgate said he had not discussed the clash with the DC United star, adding there was no need for him to be involved in the entire process. "I've not spoken to him since he came and was ambassador for the under-17s finals [in April]," he told UK newspapers. "We had a good discussion there but we haven't directly discussed this, because there was no need for that. "There’s no particular agenda to me not speaking to him, let's make that officially clear. I don't think Wayne has been involved in all those discussions and I don’t need to be involved in all those discussions, frankly." However, Southgate is happy Rooney is getting an international farewell despite criticism of the idea. "I was offered the opportunity to work with Wayne and asked, 'Was I happy with him playing part of the game?'" he said. "I have been happy to facilitate that and I think it's an appropriate tribute for him."